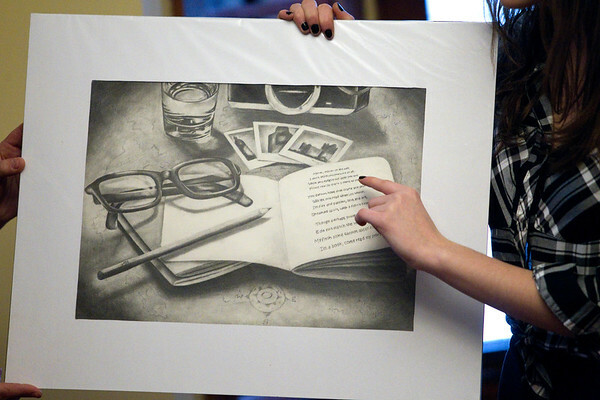 Kalkaska High School student Abigail Hockin shows her artwork inspired by stories told to her by Maxine Cullen on Thursday at Kalkaska Memorial Health Center Assisted Living. Art students showed their work for "Art of the Ages: Generations Collide," to the seniors who's stories inspired the artwork. The show will be held Thursday, Jan 18 in the high school library.